Children are under all sorts of pressures these days. At school they have to worry about standardized tests, bullying and peer pressure. When they get home, some children are faced with even more stressors. Wouldn’t it be nice to help your child or student release some tension and get back to having fun? Sometimes the best way to nurture a stressed out child is to give them some attention and engage them in something fun. Below is an activity that any child will enjoy. They will get to spend time with you and at the end of that time, they will have a fun keepsake to help them de-stress anytime they need to unwind. *Glow in the dark paint (can be found at Walmart in arts and crafts department and at craft stores like Michael’s). Choose your favorite figurine that you want to go inside the jar. 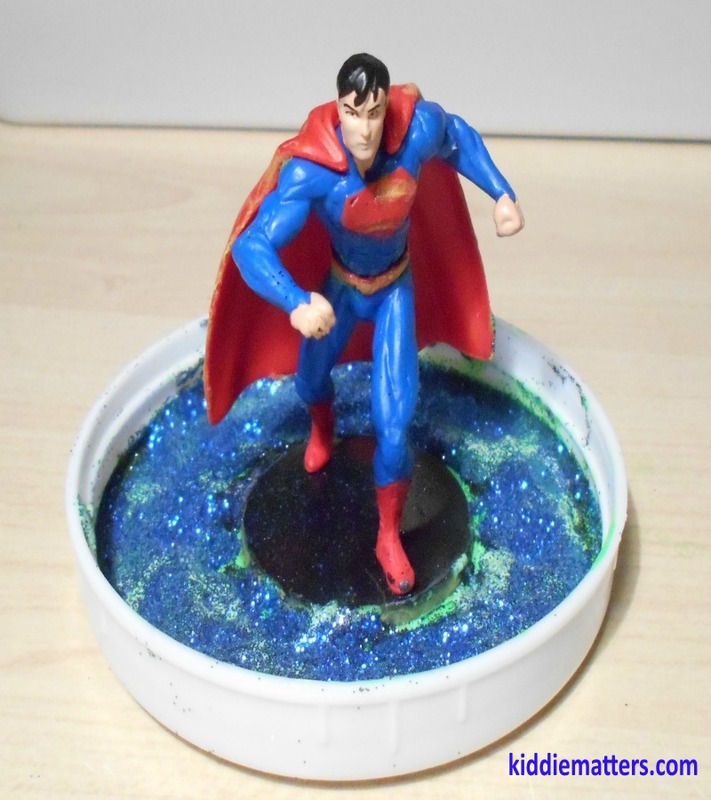 Glue the figurine to the inside of the lid and let dry. You can also glue glitter on or paint the inside of the lid with glow in the dark paint. 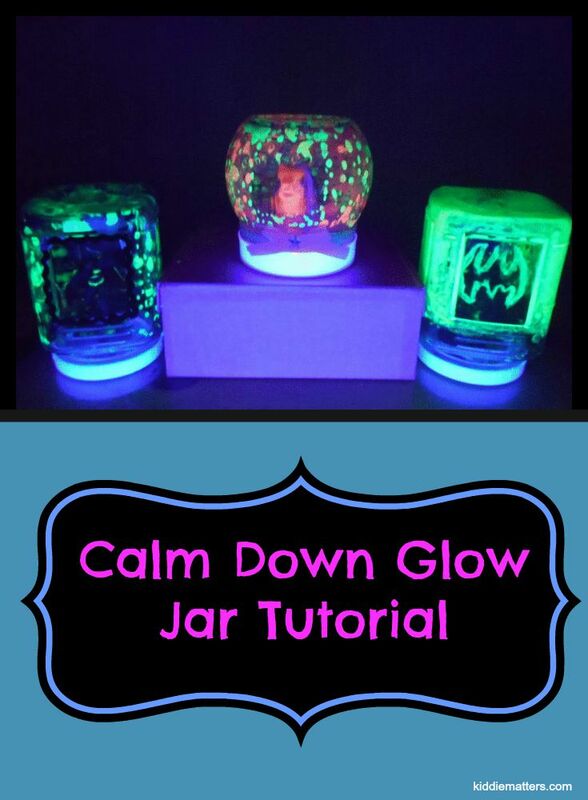 Paint the inside of your jar with glow in the dark paint. You can also decorate your jar with additional items to build a scene in the jar. Creating a scene allows the child to use their imagination and come up with a story of what is going on inside the jar. My son’s jar theme was Superman being trapped in cryptonite. He added green pom poms to represent the cryptonite. My little princess loves glitter and we had to add it to her calm down jar. Sprinkle the desired amount of glitter you want. I put enough just to make it sparkle. 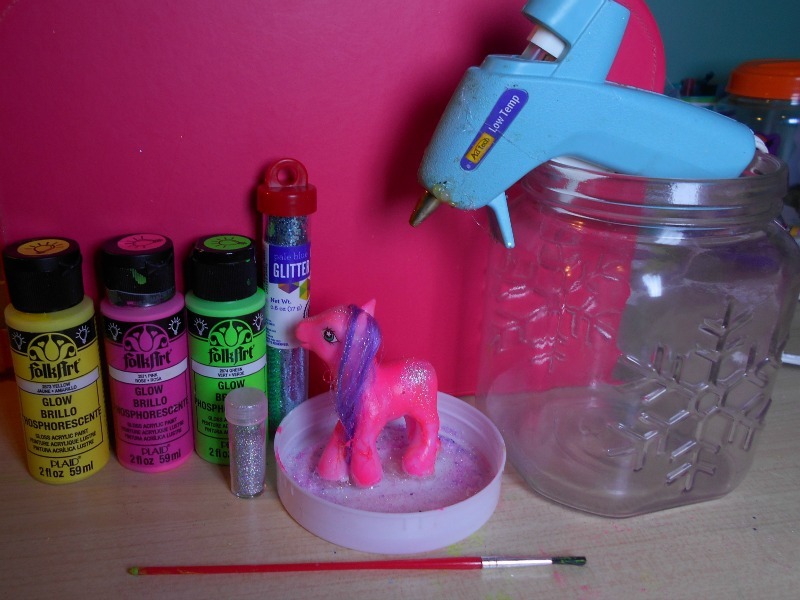 It’s much easier to get the glitter to stick if you sprinkle it on immediately after you paint the jar. 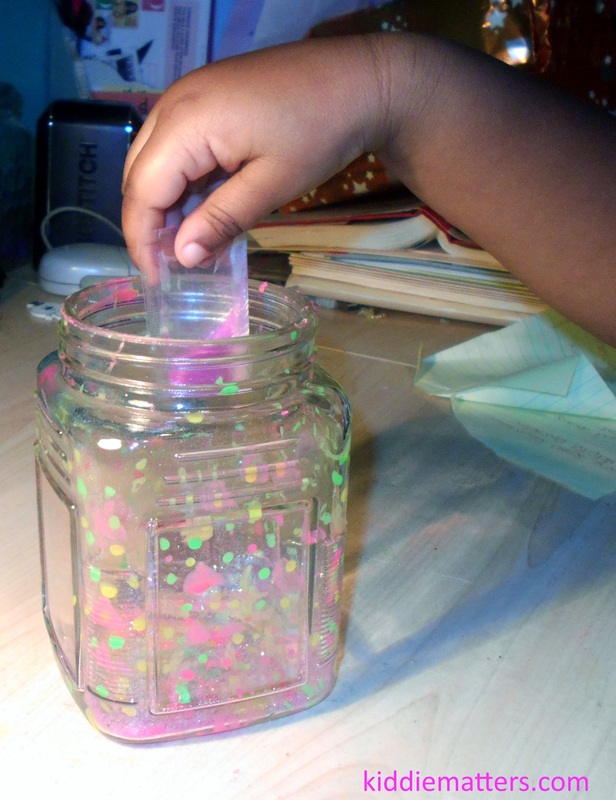 After you put glitter in the jar, roll the jar on its side to distribute the glitter inside the jar. Tightly screw lid on to the jar, dim the lights and enjoy! (You can turn on a black light for an even more glowy effect). During individual counseling sessions. 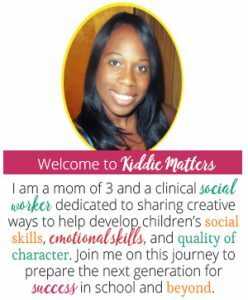 In my experience, most children hate talk therapy because it can feel like an interrogation. Having a conversation with them while they are engaged in a task makes them more at ease. And as a bonus, they leave the session with a piece of art they created! While working with children who are victims of trauma. Making a Glo-Be is very therapeutic and soothing. Since the Glo-Be glows in the dark, children can use it as a night light. Some children just feel safe and comforted having the Glo-Be, especially if they made it with someone they share a positive, nurturing relationship with. As a fun craft for my own children. 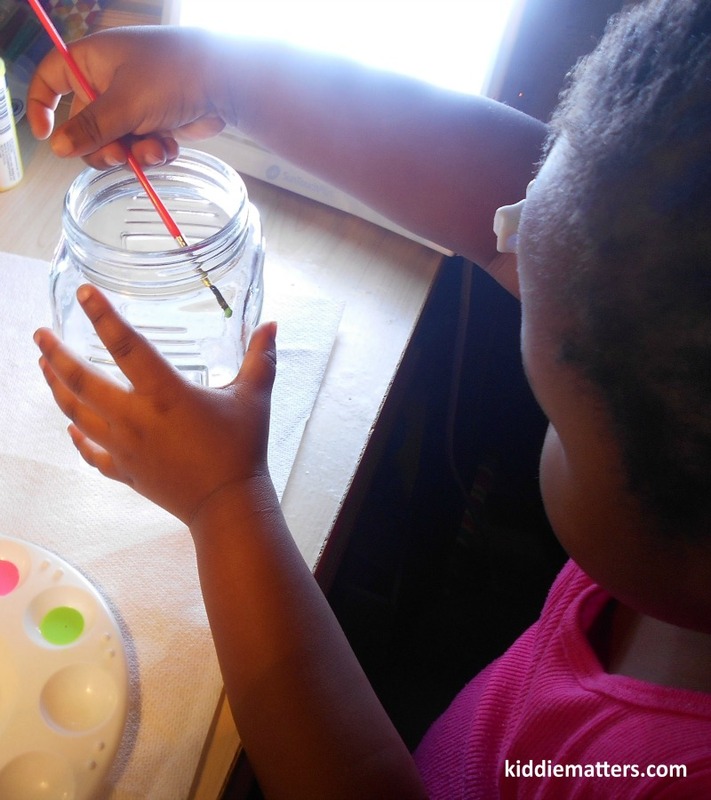 Making a Glo-Be is a fun activity to do with kids. They will enjoy the time spent together and kids love things that glow in the dark! If you like this post you might also like Quick And Easy ‘I Spy’ Jar ! I love this idea!! It is fabulous. Do you paint the inside or the outside of the jar? Sorry for being thick! Thank you! I painted the inside. The glow in the dark paint I used comes off easily otherwise. Thanks for stopping by! It is so much fun and the kids to this day will play with their jars for hours. Hope you get a chance to make them with your little ones! Absolutely! Every where I go I see kids glued to a screen,my own included. I’m always on the hunt for screen free activities! Thanks for stopping by! I want to make one for myself too! Love this DIY. Thank you for sharing it. Thank you! Always a pleasure linking up at #twinklytuesday. Thanks for hosting! What a lovely craft. I always like whenever I come home from a night event and I have some sort of glow stick to put by my bedside table. – Linking over from weekend blog party. This is a really great idea. Sometime they just need a second to gather themselves. I know my 2 year old son would sit there and calm down with something like this. I am going to try this out and see how it works! Sharing! Thanks for sharing this at Totally Terrific Tuesday! I can’t wait to see what you have for this week. What a great idea! I will give this a try. Thanks for linking up to Funtastic Friday. Hope you can make it again this week. We had so much fun making these jars and I hope you do too. Glad you liked them and thanks for stopping by! i think I want to make one of these. I think my little one would get a kick out of it. I have three kids aged 3 and under and we NEED one of these for our house! I know this is intended for kids, but I want one. Thanks for sharing. Just want to say this was such an amazing craft to do with both my children ages 4 an 16 and my 16 yr old was in need of a sensory calm down jar like this. Can’t say enough thanks to you for sharing this. A big thanks from Idaho.